Research on music in education has had significant impact on policy, and on teaching and learning in music classrooms and outside. It has led to curriculum innovation, increased participation and investment, benefiting millions. The UCL Institute of Education has the largest group of music education researchers in Europe, with research embracing musical behaviour and development, learning and teaching throughout life. Through this work, researchers have shown not only the effects of excellent teaching on children's musical skills, but the impact of active engagement in music on perceptual, language and literacy skills; numeracy; intellectual development; general attainment and creativity; personal and social development; and physical development, health and wellbeing. UCL IOE findings, such as those from an important literature review led by Professor Susan Hallam (funded by the Department for Education), lie behind the influential Henley Review and the National Plan for Music Education that followed. As the then schools minister Nick Gibb in the House of Commons said, "Research commissioned by the DfE from the Institute of Education shows that 'quality' music education improves behaviour, attention and concentration and has a hugely positive effect on numeracy and language skills". This work, and Professor Hallam and Dr Andrea Creech's earlier surveys of English local authority music services, helped provide the rationale for increased government investment in music education. From 2007, Professor Graham Welch led the design and evaluation of Sing Up, a government singing programme for primary schools. He found that children who participated were, on average, two years ahead in their singing development. 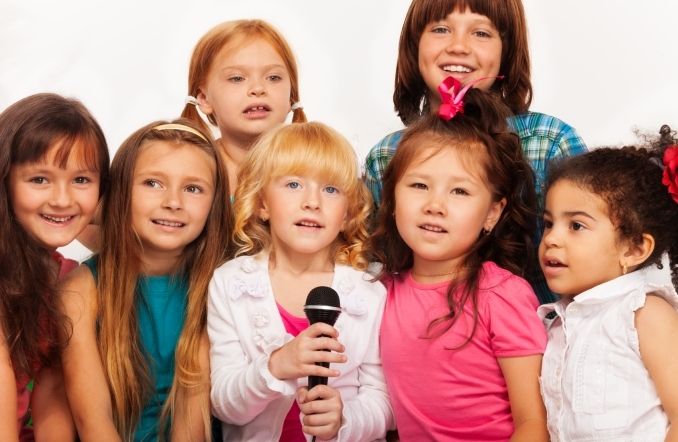 Furthermore, better singers tended to have a more positive view of themselves and a stronger sense of social inclusion. A related body of work was conducted by Professor Lucy Green (then at UCL IOE) who collaborated with Hertfordshire County Council on Musical Futures, a national secondary school project to develop and evaluate radical new teaching and learning strategies for 11-14-year-olds drawn from the informal learning practices of popular musicians. These two projects have now reached millions of children in the UK and abroad. By 2012, Sing Up had enhanced the learning and wellbeing of pupils in 96% of England's 17,000 primary schools, an estimated 4.2m children. Launched under the Labour Government's Music Manifesto programme, it was highlighted in the Coalition's 2011 Plan for Music Education. In 2012, Sing Up became an independent charity and by the following year, 4,650 schools had subscribed. Musical Futures is regarded as a major advance in music-teaching pedagogy. Building on its success, the Paul Hamlyn Foundation, the research funder, developed a whole-school leadership programme aimed at engaging children in learning. More than 1,500 secondary schools in England (over a third) are now incorporating this informal learning model, which is also being rolled out in the other countries of the UK. The model is also being used or investigated in Australia, Brazil, Cyprus, Canada and Singapore. Professor Graham Welch also co-led the Sounds of Intent project, which investigated the musical development of children and young people with severe, or profound and multiple learning difficulties. The dataset which emerged was used by one of the research team, Dr Evangelos Himonides, to design an interactive online resource to support music learning in special schools nationally. The tool enables teachers, parents, therapists and carers to assess and record the musical progress over time, even of children who can only blink one eyelid, and to share their own longitudinal data with other users. The website has received over 3m visits; some 150 schools and 1,000 pupils are registered with the project and online resources have been downloaded over 350,000 times. The charity Sound About has been funded to disseminate the resource and train teachers in 50 special schools. Research funders included the Paul Hamlyn Foundation, the Esmée Fairbairn Foundation, Royal National Institute for the Blind, the Department for Education, and several others.